This is a home version of the original arcade game. The "IV" refers to the four modes of play...Arcade, Record, Battle, or Quest. This game also features a rather nice-sounding background music soundtrack (which can be disabled in the options). Arcade Mode is the original arcade game. Record keeps track of your performance on each floor. Plays like the arcade mode. Battle Mode allows players to compete to get the highest score in unique dungeons only found in this mode. The Quest Mode is an all-new game mode featuring many new elements not found in the arcade game (a level-up system, buying upgrades to weapons/armor, a puzzle-like dungeon layout, and more). This is a challenging mode. Now you can add videos, screenshots, or other images (cover scans, disc scans, etc.) 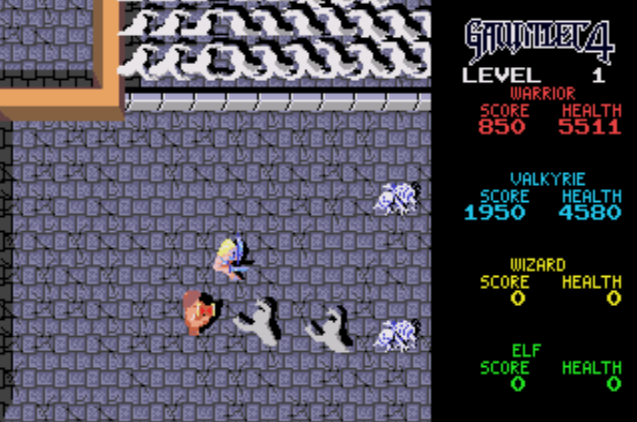 for Gauntlet IV (USA, Europe) (En,Ja) (September 1993) to Emuparadise. Do it now! If you haven't noticed yet, we have a retro game of the day feature (top-right of the screen) wherein we feature a new retro title every single day! Now, you can vote for your favorite games and allow them to have their moment of glory. 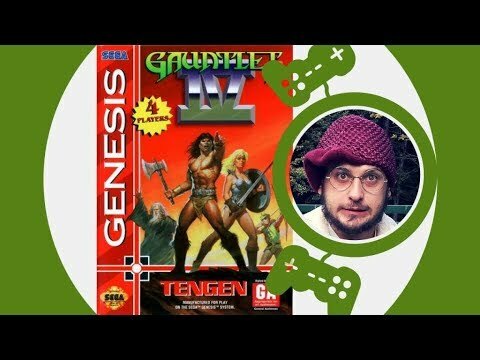 Click on the button below to nominate Gauntlet IV (USA, Europe) (En,Ja) (September 1993) for Retro Game of the Day.